There is nothing sexier in business than a healthy bottom line. That's why the top tanning salon franchises choose Argo Networks to help with their IT and communication services to streamline operations and improve profitability. Argo's Salon360 software works seamlessly with salons' POS systems to connect real-time sales information across multiple locations, saving owners and managers time collecting data and helping employees track their own performance. This service simplifies the day-to-day in running a tanning salon. 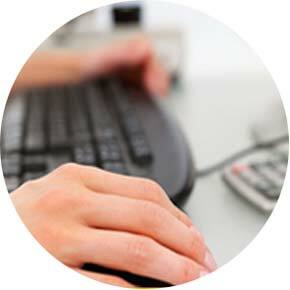 Whether a large chain, or a small operations, Salon360 can help manage sales data, track trends & much more. Data can be an important component to running a successful tanning salon. We host data in a safe, secure environment. Free yourself up to do what you do best: running your tanning salon. 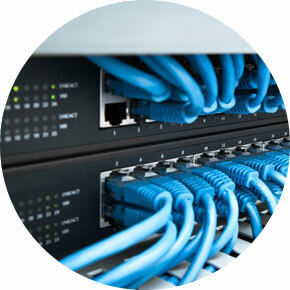 Let us handle the network engineering and IT operations with prompt and friendly customer support. Salon360 has enabled our district managers and me to monitor the salons’ strengths and weaknesses and be able to set goals to create action in specific areas. Our VIP Sales have more than doubled almost every month this year – in a down economy. In addition, our Upgrades Per Tan Average companywide has increased – something we were not paying attention to previously. UPTA Pennies from customers add up! I love the fact I can see where I am live for sales projections, I never have to wonder where I am on any single parameter. Salon360 has definitely promoted great competition. An IT resource that understands the unique needs of a tanning salon. Argo Networks helps tremendously with addressing and fixing IT issues in the salons immediately. I'm very happy with Argo and everyone that I have spoken with. Michelle is amazing and makes me laugh whenever I do communicate with her even in an email. Also appreciate Alice. She is right on everything that I need or have questions about. Jaime Hernandez, Express Tan Inc.
Argo Networks is very responsive and have, over the course of the past year, become more pro-active with follow up. We are happy with the service. Argo Networks IT service has been very helpful. If it's not an easy fix, they work on it until the job is done.